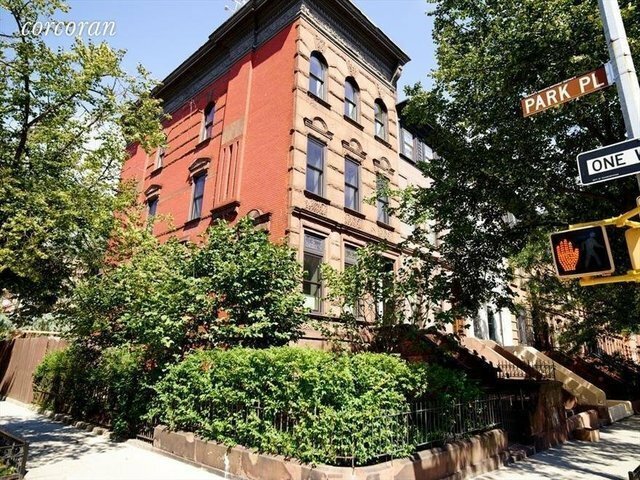 Welcome to 345 Park Place a Brooklyn brownstone oasis. This meticulously renovated, fully equipped, sun-drenched upper triplex with white-glove finishes features 4 bedrooms, 2 baths residence and is situated on the enormous corner of Underhill Ave and Park Place in a 2-family brownstone, formerly a private library. Sitting on a 30x106 lot with a lush wraparound garden, you get the best of both indoor and outdoor worlds at this home. The light filled triplex has over 2,640 sqft. of interior and is completed by 26 windows, 2 skylights and 2 private landscaped decks. The main floor is over 1,000 sqft. with eight inch wide, white oak wood floors and 11 oak windows facing east, south and west - filling the room with natural light but still maintaining the feeling of solitude and serenity provided by the immense foliage lining the property. 144 Underhill Avenue comes with modern media setup including a 10' wide remote movie screen, luxurious radiant heat, multiple zone Daikin AC (T-stats in every room), 3000K led recessed ceiling lights, video intercom system, an alarm system, and security cameras. The chef's kitchen is fully equipped with custom walnut cabinets, a Gaggenau cooktop, fridge and oven, also a second Miele oven a dishwasher. Making your way into the 792sqft. master en-suite bedroom, you will find his and hers closets, a central humidification system, and a beautiful, private deck. The master bathroom comes with an oversized, deep Agape bathtub and a spa-inspired steam room with 2 Grohe rain showers, white Dornbracht fixtures, and a tall window facing tranquil trees boxwoods. With no other houses in sight, this master bathroom and bedroom provides complete privacy- you'll forget you're even in the city! On the top floor you will find three bedrooms, a bathroom equipped with a full-size claw-foot bathtub, two automated skylights, and beautiful Corian cabinetry. Located on a beautiful tree-lined landmark street in Prospect Heights and just steps away from Park Slope, Prospect Park, Brooklyn Botanical Gardens, Brooklyn Museum, Farmers Market outstanding restaurants, this home has everything you need and more. Only 2 blocks away from the B/Q express trains and 3 blocks away from 2/3 trains.